According to the Stepfamily Association of America, there are now as many stepfamilies as “intact” families. The Association says a whopping 65%+ of remarriages now bring children into the new relationship. And the Caribbean, with its mix of the sensual and the accessible, is still a perfect place for those tying the knot… again. Especially those who are committed to sharing the event with their children and extended family. When they remarry, they want their children included so they can all begin their new lives together, as a family. The Caribbean Wedding Association has been seeing this new kind of love and marriage lately. Apparently people who are finding love later in life, who’ve done the big formal wedding, now want something different. “Really, Familymoons, as we call them, are quite adorable,” says a Wedding Coordinator at Brac Reef Beach Resort on Cayman Brac. It’s not just about the man and woman anymore. Experts say these kinds of family marriages ease the transition into the new life, because parents don’t want to leave their kids behind. And the children certainly don’t want to be left behind while their new parents take off on a honeymoon without them. The challenge here is for parents to find a destination where their kids can take part in the celebration, and more times than not, the Caribbean offers the best vacations for the entire family to enjoy. Since 9/11 it’s pretty clear that the trend toward the bonding, memory-building kinds of family travel experience is still strong. But Familymoons are not for everyone. Be prepared for a loss of intimacy between bride and groom, and repressed family issues seem somehow to come up on these pressure-cooker days. Everyone in the family needs to be involved in planning, such as such as deciding who will make the toast or what specific attractions to visit. Choose a neutral destination, not one where either parent has spent a family vacation or, obviously, a previous honeymoon. A sense of humor is a must. Expect the unexpected. This is uncharted territory. If things don’t go according to plans, roll with them. Be aware that single parents traveling with minors outside the United States must bring proof from the other parent that they have the permission to travel with the child. Kids will often become homesick, missing their biological parent or pet, even. Be sure they can phone home or email friends. And chose a destination that has significant experience in family travel. 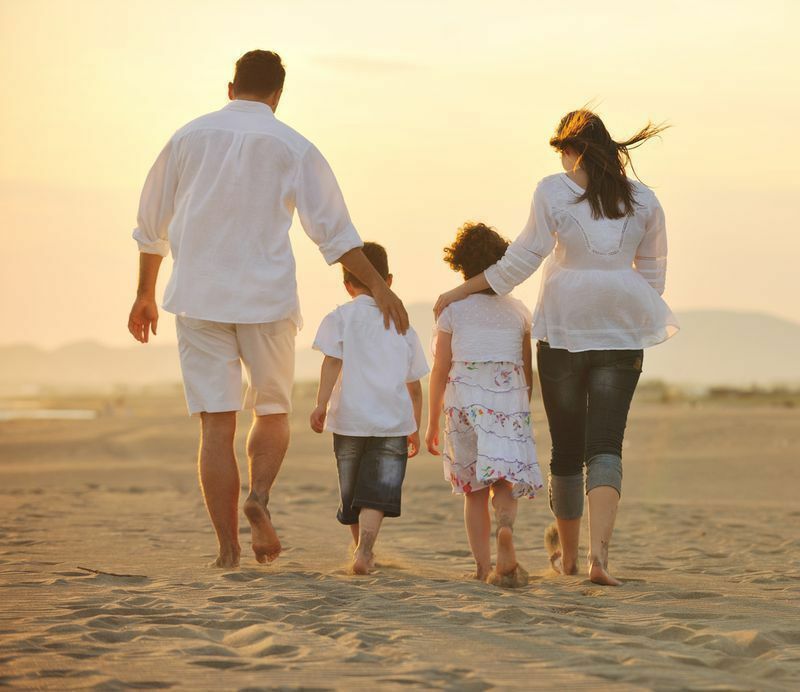 Family travel sites like Family Travel Forum and Traveling Mom are good resources. And good luck!